Social Issues in Medicine is a required course that all first-year medical students participate in. During this course students recognize and analyze the interrelationships between socio-cultural environments and the occurrence, prevention, and treatment of disease. Students identify and nurture values that characterize the professional and humanistic practice of medicine and an ethic of service. The course employs a service-learning pedagogical framework in which students engage in classroom and community activities in order to address course learning objectives. The course format includes content talks and interactive sessions, small-group discussions, self-reflection and visits to community partner sites. Please click here for a complete listing of SIM service opportunities. The Remote Access Medicine (RAM) Clinic in Wise, Virginia is a collaborative effort by regional groups in Central Appalachia and organizations around the state and nation to provide medical, dental and vision care to the most medically underserved population in the state. 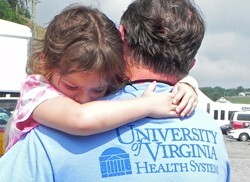 Each year the UVA Health System sends volunteers to help provide several medical and support services such as emergency care, women’s health, endocrinology, dermatology and telemedicine. The Charlottesville Free Clinic is a nonprofit organization founded in 1992 by Dr. Mohan Nadkarni and Dr. R. Paul DeMarco during their residencies at UVA Hospital. Thanks to the vision of its two founders and generous support from the community, the Charlottesville Free Clinic opened its doors in September 1992. The CFC provides free high-quality health care services to uninsured adults and their families whose household income is below the federal poverty level and who are not eligible for free care elsewhere in the community. With support from more than 500 volunteers—health care professionals, students and community members—the Charlottesville Free Clinic provides free primary medical care, prescription medications and dental services during day and evening clinics at its offices in the Charlottesville/Albemarle Health Department building near downtown Charlottesville. Health services are provided by volunteer health care professionals and the CFC’s on-staff nurse practitioner, dentist and dental assistant as well as local health care providers who treat CFC patients in their offices. Last year, the CFC’s nurse practitioner and medical volunteers provided primary medical care for 1,507 patients with 4,823 visits. Volunteer pharmacists filled and dispensed 31,646 prescription medications. The CFC’s dental staff and volunteer dental professionals provided acute and restorative dental services for 1,872 patients with 3,741 visits to day, evening and Saturday dental clinics. For more information, please contact the CFC at 434-295-0008 or frontdesk@cvillefreeclinic.org. Established in 2001, the University of Virginia’s Center for Global Health works to promote health in resource-limited settings by fostering the commitment of students, faculty, and partners from many disciplines to address the diseases of poverty. CGH has 3 components: (1) Scholarships for UVA students who develop faculty-mentored service/learning projects related to health with collaborators in resource-limited settings, (2) Fellowships for international researchers from collaborating institutions in developing regions to train and conduct research at UVA in order to return home, train others, and lead efforts to address local health priorities, and (3) Curricula at UVA relating to global health to prepare and inspire students for involvement in global health. 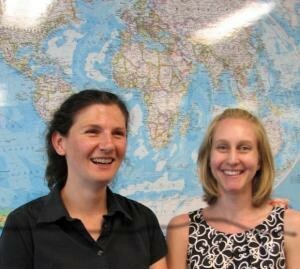 Two scholarships are available to students interested in global health issues. Scholar Programs Center for Global Health – University Scholar Awards: Available to undergraduate, graduate, or professional students who engage faculty mentors in multidisciplinary approaches to global health in an international setting. The Dean’s Award/Center for Global Health Award in Medicine: Available to fourth-year medical students pursing international clinical or research rotations during their final year of school. Students for Community Health is a group for medical students interested in volunteering and becoming involved in a variety of community organizations. The students rotate through different community outreach programs each month to accommodate a wide range of specialty interests. The group promotes long-term partnerships between medical students and local community organizations, linking students to ongoing health and medical projects in the region. Founded in 1999, the student-run Sloane Society partners with the Center for Humanities in Medicine and the Historical Collections and Services of the Claude Moore Health Sciences Library to infuse a variety of historical, anthropological, literary, and artistic perspectives into our understanding of medicine. Through a series of lectures and workshops, participants explore the social dimensions of medical care in an effort to gain a multi- faceted comprehension of sickness and disease. The Society believes that a broad appreciation for the medical humanities provides practitioners with nuanced insight into both individual doctor-patient relationships and the macroscopic challenges facing health care today. The School of Medicine chapter of Operation SMILE sponsors education sessions and fundraising to provide free surgeries to repair cleft lip, cleft palate, and other facial deformities for children around the globe. The chapter is part of Operation SMILE International. OSI’s mission of implementing sustainable health care through global partnerships and local infrastructural development distinguishes this organization from others. In addition to exposing UVA students to this perspective, the chapter helps facilitate opportunities for fourth-year medical students to participate on OSI missions for elective credit. The primary mission of Moving Africa Forward, Inc. is to aid in access to education and enhance health care in Africa by implementing long-term sustainable programs in health promotion and disease prevention. For the past three years, the group has been partnered with the village of Belaye, in Casamance (Senegal), to develop a rice mill project that will fund the village’s rural health center. 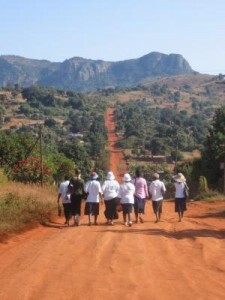 The secondary mission is to be a local agent of community development and community service. The group completed a successful 2011 Winter Holiday Food Drive to benefit the Charlottesville Catholic Church of Incarnation’s food aid ministry to the Spanish-speaking populations of Charlottesville. The initiative will be repeated in future years, and the group will work to find other partners in the Charlottesville community.